46 Co.opMart supermarkets throughout the country has given coupons worth VND10, 000 each to consumers who spend more than VND200, 000 (US$10) for green technology and green products as well as use environmentally friendly bags since September 13 to support the Green Consumption Campaign. 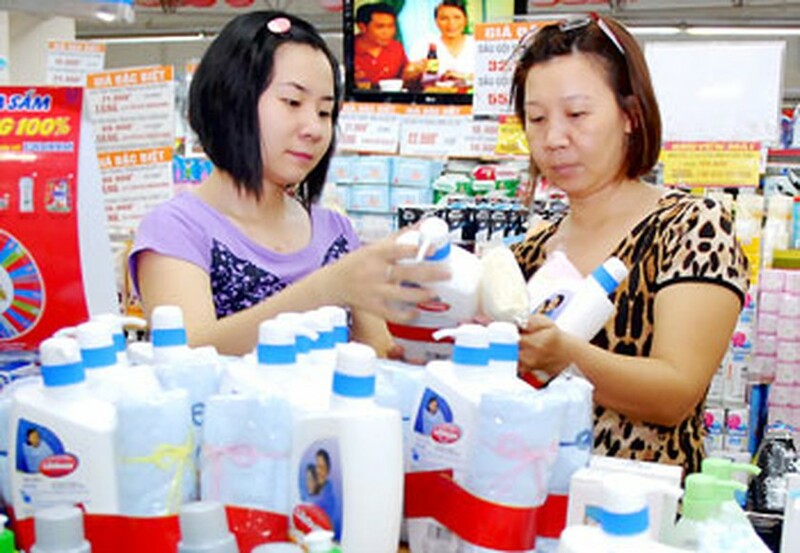 Customers choose a Unilever's green product in Cong Quynh Co.opMart. The organization board of the Green Consumption Campaign offered 10,000 free coupons to participants of the launching ceremony in Ho Chi Minh City on September 11. Deputy Director General of the Saigon Co.op, operator of the Co.opMart supermarket chain, Nguyen Thanh Nhan said that the consumption of green technology and green products has increased 30-40 percent in September 13 compared with weekdays. The Co.opMart supermarket system gave 100,000 environmentally friendly bags on September 11 and has offered millions of special discount vouchers to customers who buy green products from September 13 to 19. The supermarkets also provide convenient places to display green and clean goods for people to pick up easily. 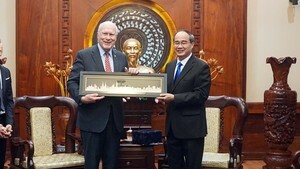 Launched in Ho Chi Minh City on September 11, the Green Consumption Campaign aims to promote the “Vietnamese people use Vietnamese products” program, as well as green technology and green products. The campaign is co-organized by Saigon Giai Phong newspaper, the HCM City Department of Industry and Trade, and supermarket chain Saigon Co.op.